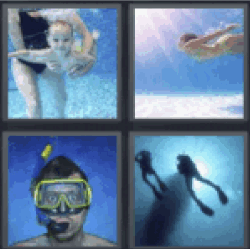 4 Pics 1 Word Baby underwater. Swimming underwater. Man wearing scuba diving mask. Swimming in ocean.